1. I donated blood Friday morning. This is a free mini-checkup every two months; they take your pulse, temperature, blood pressure, and check your hemoglobin levels (iron). They send your blood to be checked for various diseases such as Lyme disease, West Nile, and Zika. DO NOT donate blood in order to determine if you have a disease or not. If you think you might be ill, go to a doctor or clinic and deal with it. But, if you (like me) need an extra reason to be generous, the screening to give blood is not a bad perk. Donating requires relaxing quietly in a comfy chair for 10-15 minutes. When you are done they send you to the snack area, where you get cookies and fruit juice. I ate an entire pack of Nutter-Butters. No more Nutter-Butters till the next time I donate. Does it hurt? On a scale of 1-10, the worst technicians have hurt at about a 4. Most of them are at 1. It hurts more to stub your toe, but has that stopped you from walking? 2. 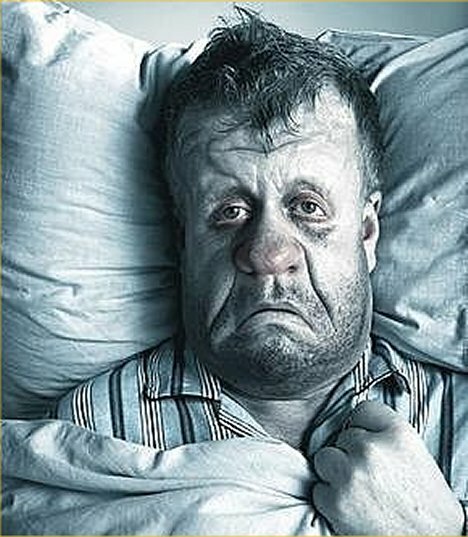 Last Tuesday Len woke up a bit achy with a sore throat. By the end of the day we knew his flu shot didn’t cover whatever flu he was coming down with. Since he does works from home, he kept working. He’s like that. He also took naps and developed a penchant for Lacroix tangerine-flavored seltzer water (we had some left from Christmas). 3. I baked chicken one night for supper and turned the leftovers into chicken broth and then chicken vegetable soup the next day. We ate a lot of it and now it’s gone. 4. Len is so much better that today, for the first time in a week, he drove out to do errands. What errands, you ask? He went to CVS to buy a cool mist vaporizer and a new round of sore throat, bad cough, and body ache pain relievers. He used a 20% off coupon on all of this. Here are the medicines we have on hand and why; in case you haven’t had flu yet and want to get prepared: If you know what ingredients you need, you can buy house brand instead of name brand. Ibuprofen – (Motrin or Advil) and/or Acetaminophen (Tylenol): They reduce body aches and fever. If you are taking these or giving them to others, take the time to write down what was swallowed or administered. Acetaminophen is a mild and effective medication – but if double-dosed a person can get extremely sick or even die. I know, awfully intense side effect for such a common OTC medication! So write it down and keep track. Some people advise you alternate between the two medications so that you don’t accidentally double-dose the acetaminophen build-up in your body. Tussin DM: This is a cough suppressant and chest decongestant. The active ingredients are Dextromethorphan and Guaifenesin. Neither of these ingredients will disturb your sleep or make your head spinny. You can get this as syrup or pills. Nasal Decongestant PE: This is Phenylephrine HCI tablets, 10 mg. Consider this medication when one has the flu (or regular cold) if you feel as if the juices in your nose are turning to cement. This MIGHT help prevent sinus infections. You will feel better if you can, for example, breathe through your nose. Nasal Decongestant: Pseudoephedrine HCI 30 mg. This is the big guns med that you need to ask the pharmacist to get for you. I will not take it; it makes my appetite completely shut down (this is the main ingredient in the diet pills we took as teenagers). My head spins and I feel foggy, sick, and it destroys my sleep. Pseudoephedrine doesn’t bother Len; he uses it when he’s super congested and it works well for him. Cough drops that have Benzocaine or Dextromethorphan in them. The flu can bring on a throat so sore it hurts to swallow. These two ingredients HELP to tamp down that sore throat pain. So do most herbal teas, seltzer water, some soda if you crave it, and lots and lots of water. A salt water gargle is amazingly effective. Put a teaspoon of water into water as hot as you can stand it and then gargle. It most very definitely helps for a while. So does extra moisture in the air; thus the new humidifier at our house. The reason Len went out this morning to stock up is -- I have a sore throat and a headache. I will call the blood bank and tell them to throw away my donation. Sigh. There are many ways to address this flu epidemic we are in. If you haven’t gotten the vaccination yet; get it even knowing it might not keep you flu-free. The strain of flu going around is not in this year’s shot. But any protection will lessen symptoms and will protect you from some of the other strains that are out there. Seriously, last thing any of us need is to get a second flu while we are recovering from the first. I am one day into this. I took ibuprofen earlier and right now, I feel nearly fine (my throat is weird). This is the ameliorating effect of having some vaccine already in my system. 5. Not everyone will get the flu, but many of us will. Have a plan; have some of medications on hand. Maybe buy some cans of soup or juice or whatever else you need to be able to stay out of a store while you recoup. If you are the only driver in your household, talk with a friend or neighbor about being each other’s “thing-getter” support if flu hits. If you can do parts of your job from home consider how to arrange that. If you can’t, make your peace with that. I'm feeling much better, thanks, but I just came down with a new symptom: stomach ache. Apparently it's a sign of chugging too much Guaifenesin. There are a few other uncommon side effects, but, as Mary Beth says, it's pretty safe and really works to loosen the cough. Thanks for this simple recipe for water, sugar, and salt. Glad ur on the mend - hope I don’t have to find out how miserable the flu makes you feel.